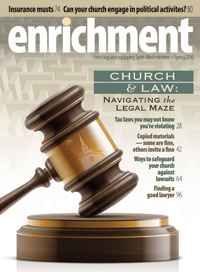 This issue of Enrichment journal addresses some of the major legal issues churches and pastors may experience. 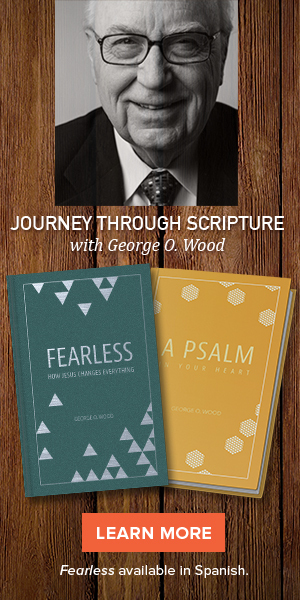 These articles, written by lawyers, provide practical advice to help guide the pastor and church through the legal maze. Learn from the expertise of Ann Buwalda, Don Halloway, Richard R. Hammar, Stanton Masters, William T. McGrath, David Middlebrook, Ken Sande, Frank Sommerville, Jerry Sparks, John Vaughn, and George O. Wood.